I wanted to share this blog post from Adam Gismondi highlighting a previous effort from his alma mater (William & Mary) to use the Kickstarter crowdsourcing model to help fund undergraduate research. It’s an excellent example a way of using social media and digital technology to help engage students, alumni, and the broader public. 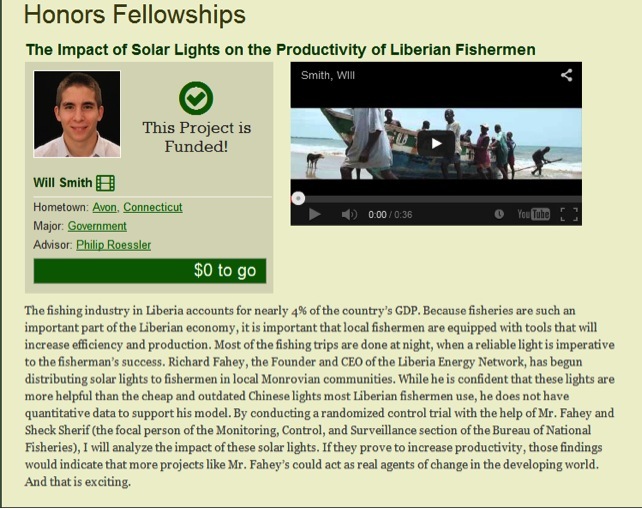 Perhaps the most exciting aspect of the project is the ability for donors to see the direct results of their efforts. What do “social” web technologies look like in practice within higher education? This is a question that I often see posed within both online conversations and at conference educational sessions, but rare is the tangible answer that follows.